Jesus exclaimed, “I am the resurrection, and the life: he that believeth in me, though he were dead, yet shall he live” (John 11:25). There is one event that, regardless of riches, status in society, or any other earthly advantage, will happen to everyone with very few exceptions; that is death. “For the living know that they shall die:…” (Ecclesiastes 9:5). To us it appears that death is the end of our future, and that would be true if it were not for God sending His Son, Jesus Christ, to redeem us from death (Hosea 13:14). 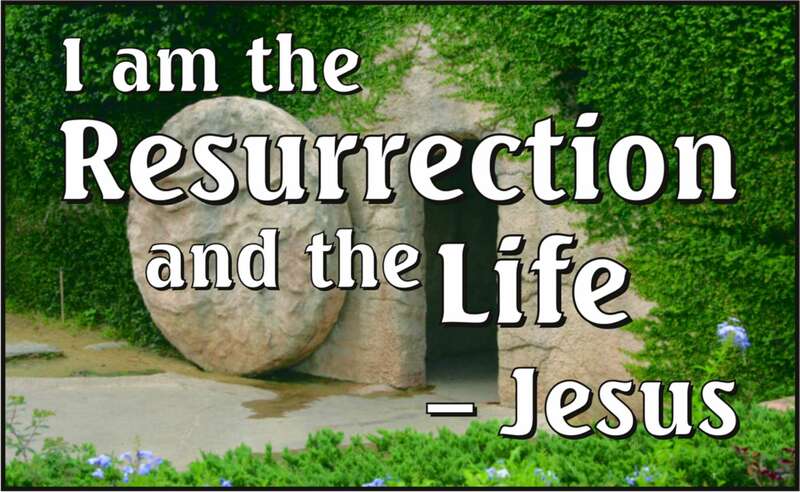 The resurrection is listed as one of the foundational principles of Christianity (Hebrews 6:1, 2), and it was included as part of the gospel taught by Christ and His disciples. When the disciples “…spake unto the people, the priests, and the captain of the temple, and the Sadducees, came upon them, Being grieved that they taught the people, and preached through Jesus the resurrection from the dead” (Acts 4:1, 2). While Paul was preaching to the idolaters of Athens, “…certain philosophers of the Epicureans, and of the Stoicks, encountered him. And some said, What will this babbler say? other some, He seemeth to be a setter forth of strange gods: because he preached unto them Jesus, and the resurrection” (Acts 17:18). Paul then preached a sermon to these men of Athens, saying, “And the times of this ignorance God winked at; but now commandeth all men every where to repent: Because he hath appointed a day, in the which he will judge the world in righteousness by that man whom he hath ordained; whereof he hath given assurance unto all men, in that he hath raised him from the dead. And when they heard of the resurrection of the dead, some mocked: and others said, We will hear thee again of this matter” (Acts 17:30-32). 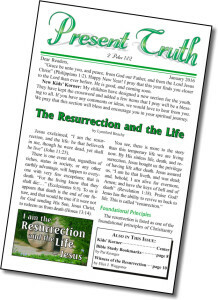 Later, when Paul was arrested for preaching the gospel, his teaching on the resurrection caused quite a stir among his Jewish accusers: “But when Paul perceived that the one part were Sadducees, and the other Pharisees, he cried out in the council, Men and brethren, I am a Pharisee, the son of a Pharisee: of the hope and resurrection of the dead I am called in question. And when he had so said, there arose a dissension between the Pharisees and the Sadducees: and the multitude was divided. For the Sadducees say that there is no resurrection, neither angel, nor spirit: but the Pharisees confess both. And there arose a great cry: and the scribes that were of the Pharisees’ part arose, and strove, saying, We find no evil in this man: but if a spirit or an angel hath spoken to him, let us not fight against God. And when there arose a great dissension, the chief captain, fearing lest Paul should have been pulled in pieces of them, commanded the soldiers to go down, and to take him by force from among them, and to bring him into the castle.” (Acts 23:6-10). Paul confessed his belief in the resurrection and strongly warned against the teaching of those who deny it. He wrote, “But shun profane and vain babblings: for they will increase unto more ungodliness. And their word will eat as doth a canker: of whom is Hymenaeus and Philetus; Who concerning the truth have erred, saying that the resurrection is past already; and overthrow the faith of some” (2 Timothy 2:16-18). Denying the resurrection, or even misunderstanding the timing of the resurrection, is enough to overthrow the faith of some. Paul placed a great deal of emphasis on understanding the resurrection. He recognized it as a key component of the gospel. The Bible speaks of more than one resurrection. Paul wrote of faithful saints who “…were tortured, not accepting deliverance; that they might obtain a better resurrection” (Hebrews 11:35). There is a better resurrection for those who are faithful to the Lord. Paul said “…that there shall be a resurrection of the dead, both of the just and unjust” (Acts 24:15). Jesus explained, “Verily, verily, I say unto you, He that heareth my word, and believeth on him that sent me, hath everlasting life, and shall not come into condemnation; but is passed from death unto life. Verily, verily, I say unto you, The hour is coming, and now is, when the dead shall hear the voice of the Son of God: and they that hear shall live. For as the Father hath life in himself; so hath he given to the Son to have life in himself; And hath given him authority to execute judgment also, because he is the Son of man. Marvel not at this: for the hour is coming, in the which all that are in the graves shall hear his voice, And shall come forth; they that have done good, unto the resurrection of life; and they that have done evil, unto the resurrection of damnation” (John 5:24-29). Jesus explained, “And this is the will of him that sent me, that every one which seeth the Son, and believeth on him, may have everlasting life: and I will raise him up at the last day” (John 6:40). 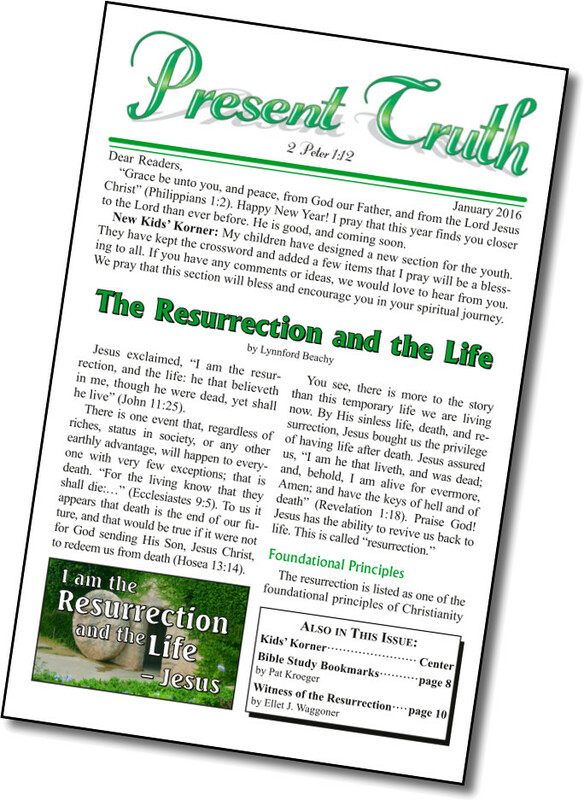 The resurrection of life will take place “at the last day.” Jesus expressed this fact several times in this discourse. He said, “No man can come to me, except the Father which hath sent me draw him: and I will raise him up at the last day” (John 6:44). And again, regarding those who have eternal life, “I will raise him up at the last day” (John 6:54). One of Jesus’ disciples, Martha, spoke to Jesus about her dead brother: “I know that he shall rise again in the resurrection at the last day” (John 11:24). It is very clear that Jesus taught the resurrection of life would take place “at the last day.” As we have learned, if we think it happens before that, then it will overthrow our faith. When is “the last day”? Paul taught, “But I would not have you to be ignorant, brethren, concerning them which are asleep, that ye sorrow not, even as others which have no hope. For if we believe that Jesus died and rose again, even so them also which sleep in Jesus will God bring with him. For this we say unto you by the word of the Lord, that we which are alive and remain unto the coming of the Lord shall not prevent [precede] them which are asleep. For the Lord himself shall descend from heaven with a shout, with the voice of the archangel, and with the trump of God: and the dead in Christ shall rise first: Then we which are alive and remain shall be caught up together with them in the clouds, to meet the Lord in the air: and so shall we ever be with the Lord. Wherefore comfort one another with these words” (1 Thessalonians 4:13-18). Here we see that those who are resurrected “first” are those who are “dead in Christ.” So the resurrection of life will take place first, and it will happen at the second coming of Jesus, when He comes in the clouds of glory. When are the Righteous Rewarded? Jesus encouraged us to feed the poor: “And thou shalt be blessed; for they cannot recompense [reward] thee: for thou shalt be recompensed [rewarded] at the resurrection of the just” (Luke 14:14). Jesus said that the righteous will be rewarded at “the resurrection of the just.” He also explained, “For the Son of man shall come in the glory of his Father with his angels; and then he shall reward every man according to his works” (Matthew 16:27). In the last chapter in the Bible Jesus said, “And, behold, I come quickly; and my reward is with me, to give every man according as his work shall be” (Revelation 22:12). The faithful will receive their reward when Jesus returns to resurrect them. They will not receive their reward before they are resurrected at the second coming of Christ. Wait a minute! What about all the faithful who have died in the past? Aren’t they already enjoying the reward of heaven? Peter explained, “Men and brethren, let me freely speak unto you of the patriarch David, that he is both dead and buried, and his sepulchre is with us unto this day. Therefore being a prophet, and knowing that God had sworn with an oath to him, that of the fruit of his loins, according to the flesh, he would raise up Christ to sit on his throne; He seeing this before spake of the resurrection of Christ, that his soul was not left in hell, neither his flesh did see corruption. This Jesus hath God raised up, whereof we all are witnesses…. For David is not ascended into the heavens: but he saith himself, The LORD said unto my Lord, Sit thou on my right hand, Until I make thy foes thy footstool” (Acts 2:29-35). Here we learn that King David, the man who killed the giant, Goliath, has not yet gone to heaven. This would make sense if what Jesus said is true, that David will be rewarded at the resurrection of the just at the second coming of Christ. This is exactly what David believed would happen, for he wrote, “As for me, I will behold thy face in righteousness: I shall be satisfied, when I awake, with thy likeness” (Psalms 17:15). We will not be able to enter the kingdom of God in our current condition. We must be changed first. The Bible says, “Now this I say, brethren, that flesh and blood cannot inherit the kingdom of God; neither doth corruption inherit incorruption. Behold, I shew you a mystery; We shall not all sleep, but we shall all be changed, In a moment, in the twinkling of an eye, at the last trump: for the trumpet shall sound, and the dead shall be raised incorruptible, and we shall be changed. For this corruptible must put on incorruption, and this mortal must put on immortality. So when this corruptible shall have put on incorruption, and this mortal shall have put on immortality, then shall be brought to pass the saying that is written, Death is swallowed up in victory. O death, where is thy sting? O grave, where is thy victory?” (1 Corinthians 15:50-55). We are currently mortal and corruptible. In this condition, we cannot enter heaven. We must be changed first. When does this change take place? “…at the last trump.” This is when Jesus will return (1 Thessalonians 4:15, 16). We are mortal until we are changed at the second coming of Christ. Then, and only then, will we be able to inherit the kingdom of God; until then, all the dead are asleep. The Sadducees had evidently been influencing the Corinthians with their denial of the resurrection, so Paul wrote, “Now if Christ be preached that he rose from the dead, how say some among you that there is no resurrection of the dead? But if there be no resurrection of the dead, then is Christ not risen: And if Christ be not risen, then is our preaching vain, and your faith is also vain. Yea, and we are found false witnesses of God; because we have testified of God that he raised up Christ: whom he raised not up, if so be that the dead rise not. For if the dead rise not, then is not Christ raised: And if Christ be not raised, your faith is vain; ye are yet in your sins. Then they also which are fallen asleep in Christ are perished. If in this life only we have hope in Christ, we are of all men most miserable. But now is Christ risen from the dead, and become the firstfruits of them that slept. For since by man came death, by man came also the resurrection of the dead. For as in Adam all die, even so in Christ shall all be made alive” (1 Corinthians 15:12-22). Notice Paul’s argument here. He said that if there is no resurrection from the dead, then all those who have fallen asleep in Christ are perished, and we would only have hope in Christ “in this life only.” The resurrection is our only hope of attaining a better life. If there is no resurrection, then our short time on earth is the end of the story for us. We learn from this that those who have fallen asleep in Christ are not alive anywhere. Instead, they are awaiting the resurrection when they will receive their reward. That is why “sleep” is such a perfect term for the condition of those who have died. They are asleep, awaiting the resurrection. The Greek word, αναστασις—anastasis, translated, “resurrection,” itself illustrates this fact, for it means “restored to life.” This Greek word is used twice in the following verse: “Women received their dead raised to life again [αναστασις—anastasis]: and others were tortured, not accepting deliverance; that they might obtain a better resurrection [αναστασις—anastasis]” (Hebrews 11:35). If resurrection is “raising to life again,” then between the time a man dies and the time he is resurrected, he is not alive. The resurrection guarantees that fact. That is how Peter could be so certain that David had not yet gone to heaven, because the presence of his bones in his grave proved that he had not yet been resurrected. When Jesus was resurrected, His body left the grave (Luke 24:22, 23), and He said that He had “not yet ascended to my Father…” (John 20:17). If the dead are asleep until the resurrection, where are the wicked now, and when will they be resurrected? Peter testified, “The Lord knoweth how to deliver the godly out of temptations, and to reserve the unjust unto the day of judgment to be punished” (2 Peter 2:9). Peter explained the same truth about evil angels: “For if God spared not the angels that sinned, but cast them down to [Tartarus – abyss or pit], and delivered them into chains of darkness, to be reserved unto judgment” (2 Peter 2:4). Both wicked angels and wicked humans are being reserved until the day of judgment to be punished. “That the wicked is reserved to the day of destruction? they shall be brought forth to the day of wrath” (Job 21:30). The wicked will not be resurrected until the time of their judgment. The book of Revelation describes two judgment scenes. One takes place in heaven, happens before the second coming, mostly angels are present, very few humans, and only involves the righteous (Revelation 4:2-4; 5:6, 7, 11; 6:9-11; Daniel 7:9, 10). This judgment takes place without the presence of the righteous. 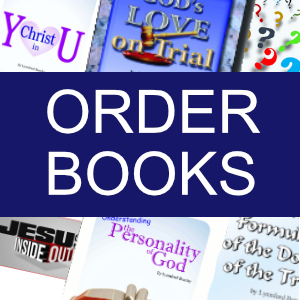 Thankfully, God will not mention our sins to us if we have confessed and forsaken them (Proverbs 28:13). “None of his sins that he hath committed shall be mentioned unto him: he hath done that which is lawful and right; he shall surely live” (Ezekiel 33:16). The resurrection is an integral part of the gospel. 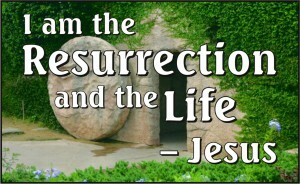 The fact that Jesus was raised from the dead is the assurance that we also will be resurrected. The Bible says “That if thou shalt confess with thy mouth the Lord Jesus, and shalt believe in thine heart that God hath raised him from the dead, thou shalt be saved. For with the heart man believeth unto righteousness; and with the mouth confession is made unto salvation” (Romans 10:9, 10). A misunderstanding of the condition of the dead can remove the significance of the resurrection, which can overthrow our faith (2 Timothy 2:16-18). The Bible says, “For the living know that they shall die: but the dead know not any thing, neither have they any more a reward; for the memory of them is forgotten. Also their love, and their hatred, and their envy, is now perished; neither have they any more a portion for ever in any thing that is done under the sun.… Whatsoever thy hand findeth to do, do it with thy might; for there is no work, nor device, nor knowledge, nor wisdom, in the grave, whither thou goest” (Ecclesiastes 9:5, 6, 10). David wrote, “Put not your trust in princes, nor in the son of man, in whom there is no help. His breath goeth forth, he returneth to his earth; in that very day his thoughts perish” (Psalms 146:3, 4). Understanding that death is really a cessation of life will affect the way we live our lives because our faith in God’s ability to transform us is tied to our understanding of the death and resurrection of Christ. “Buried with him in baptism, wherein also ye are risen with him through the faith of the operation of God, who hath raised him from the dead” (Colossians 2:12). Paul explained, “What shall we say then? Shall we continue in sin, that grace may abound? God forbid. How shall we, that are dead to sin, live any longer therein? Know ye not, that so many of us as were baptized into Jesus Christ were baptized into his death? Therefore we are buried with him by baptism into death: that like as Christ was raised up from the dead by the glory of the Father, even so we also should walk in newness of life. For if we have been planted together in the likeness of his death, we shall be also in the likeness of his resurrection: Knowing this, that our old man is crucified with him, that the body of sin might be destroyed, that henceforth we should not serve sin. For he that is dead is freed from sin” (Romans 6:1-7). Our faith in the power of God and the reality of Christ’s death and resurrection directly affects our daily lives. Paul continued, “Now if we be dead with Christ, we believe that we shall also live with him: Knowing that Christ being raised from the dead dieth no more; death hath no more dominion over him. For in that he died, he died unto sin once: but in that he liveth, he liveth unto God. Likewise reckon ye also yourselves to be dead indeed unto sin, but alive unto God through Jesus Christ our Lord. Let not sin therefore reign in your mortal body, that ye should obey it in the lusts thereof. Neither yield ye your members as instruments of unrighteousness unto sin: but yield yourselves unto God, as those that are alive from the dead, and your members as instruments of righteousness unto God” (Romans 6:8-13). If you have accepted Jesus Christ into your heart, consider yourself to be completely dead to sin. Your “old man,” that used to do those things you used to do, has died. You are a “new man”! “Therefore if any man be in Christ, he is a new creature: old things are passed away; behold, all things are become new” (2 Corinthians 5:17). Please make certain that you have accepted Jesus Christ as your Saviour and surrendered your life completely to Him, for “Christ in you” is your only “hope of glory” (Colossians 1:27). “For the law of the Spirit of life in Christ Jesus hath made me free from the law of sin and death” (Romans 8:2). Enjoy your new life with Him shining in you!